Kate’s work has a simple beauty that belies the dynamic and complex nature of her practice. Constantly moving and developing, Kate’s practice absorbs myriad influences and references. The alchemy is in how Kate distils so much of this into individual pieces of work. ‘I like the simplicity of forms’ Kate says. 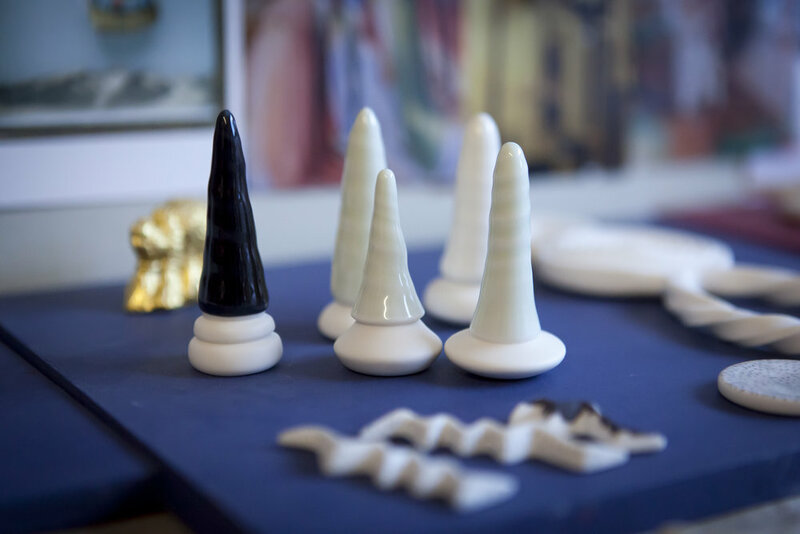 It is this focus on form that gives Kate the discipline to condense many stimuli into singular ceramic sculptures. Kate has an affinity with objects. She reads them as we might do a book. She recognises that they might have histories. She considers whether their creation has taken a natural or mechanical course, where the objects might have travelled geographically or whose hands might have held or used them. Objects from the past might have lost their original function or perhaps their purpose has changed along the way. Kate notices the immediate environment of an object and also thinks about its cultural environment, whether it affects its surroundings or whether it’s been displaced perhaps. Such a critical appreciation of objects is driven primarily by an aesthetic response to their forms. Though once a particular object piques Kate’s curiosity then she’ll research it further. Scouring museum collections is a particular pleasure for Kate, uncovering objects’ stories and identifying the links between objects, people and places; past and present. Kate brings professional experience as a jeweller to bear on her ceramic practice, together with years exploring her craft in various studios and creative environments. Concentrating on working with porcelain during her Ceramics MA has given Kate a palette that she now uses with sensitivity and dexterity. 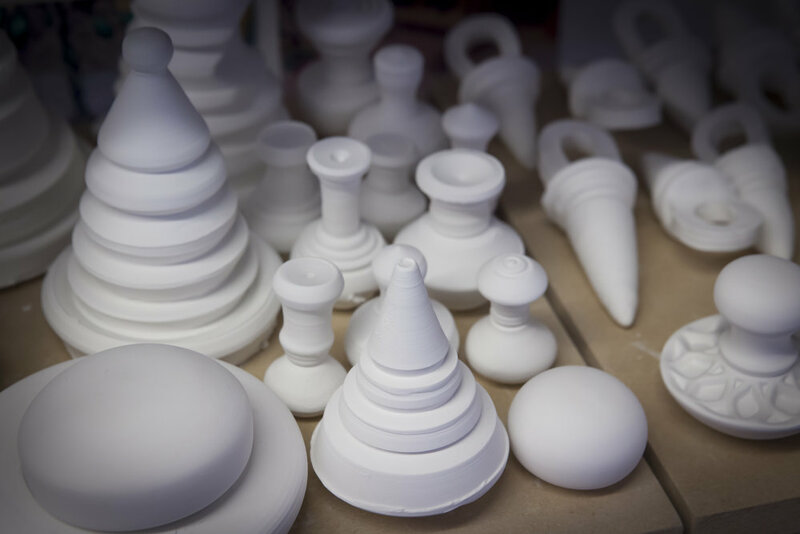 She throws, models, carves, moulds, polishes and plies porcelain into the most enchanting of forms. Her pieces have their own language. They are not made as copies of found objects but are made through a learned knowledge of other objects. Their making is informed by Kate’s sensitivity to objects, to materials and to a sense of place. 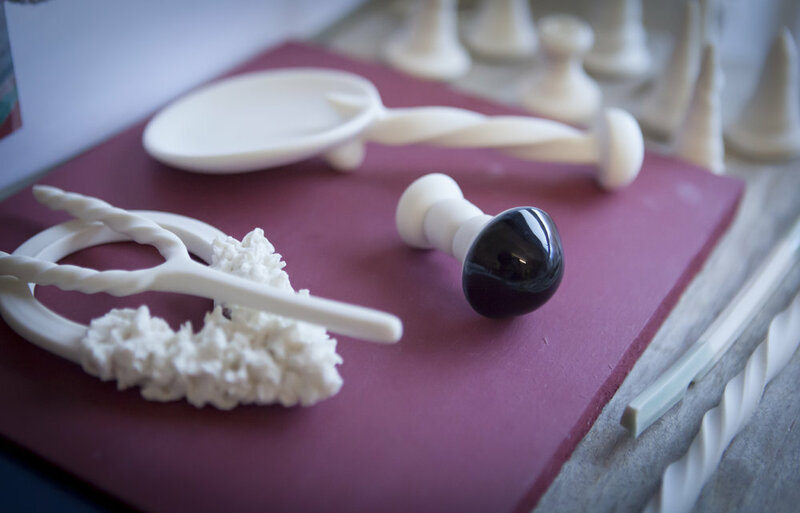 A single porcelain piece may evoke a ritual that is centuries old, it may reference a toy held dear decades ago or an instrument used to measure something last season. Incorporating other materials, such as hand-made braids, felt or silver adds to how we read Kate’s sculptures. The addition of felt brings softness, cushioning or cradling the precious ceramic. 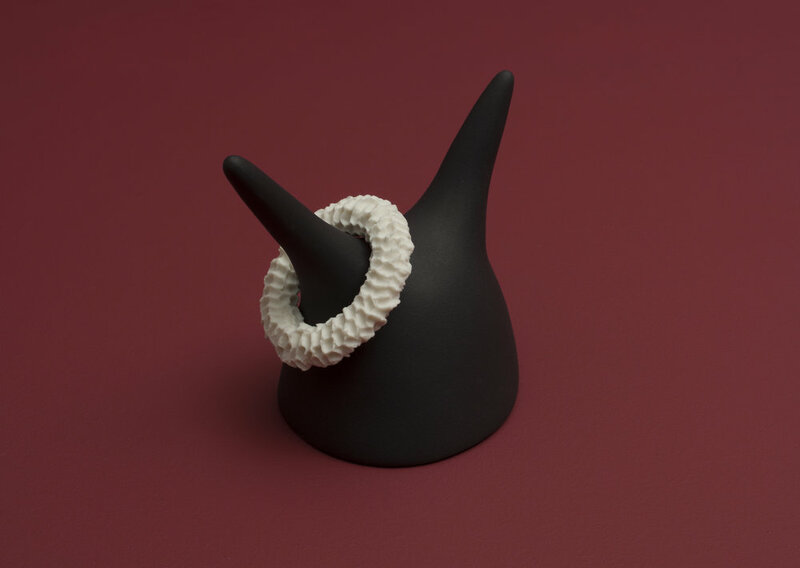 The use of threads can make the ceramic wearable, as an adornment or referencing a ceremonial use perhaps. The introduction of silver can elevate the perceived status of an artefact, illuminating its form. Kate is interested in how different ideas are shared and translated. She is interested in how knowledge is learnt and passed on. In this new body of work she is exploring how objects can express ideas and how objects can both contain and convey knowledge. 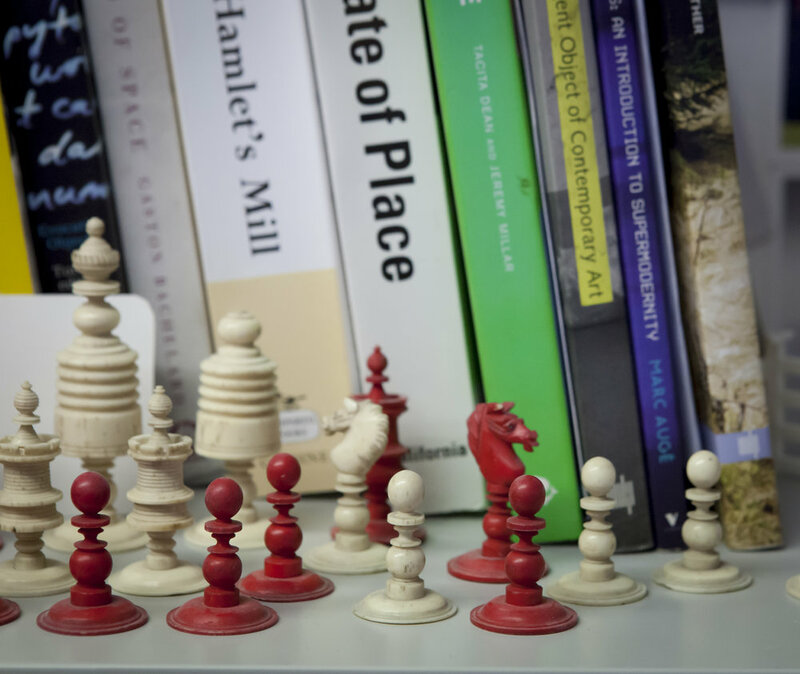 Kate refers to the objects that inspire her as ‘poetic objects.’ These are objects that have lost their original function or that have been requisitioned for a different purpose or that simply remind us of other things. Kate’s work stirs different memories in different people, it provokes unexpected conversations and can be understood in a variety of ways. Our personal responses to it will bring our own histories and points of reference to bear. Whatever these might be, I would assert that Kate’s work is quite simply beautiful. Kate has a studio in Fireworks in Cardiff. From this supportive and creative base, Kate’s interests and activities range far and wide. 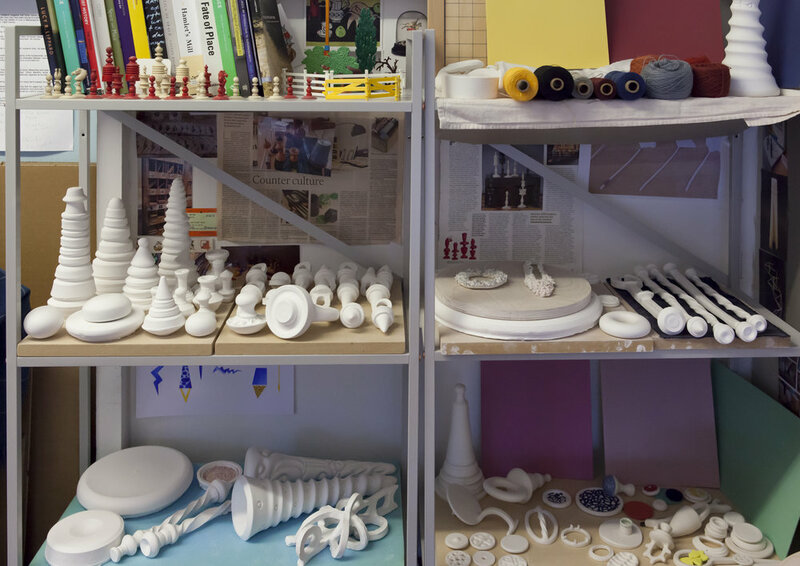 Drawn to museum collections, studio residencies and diverse development opportunities, Kate embraces a multitude of resources in her ceramic practice. A recent Project Network residency at the international ceramic research centre in Guldagergaard, Denmark, afforded Kate an environment in which to explore working with different clay bodies and firing techniques. A subsequent residency at the National Glass Centre in Sunderland saw the opportunity for Kate to collaborate with accomplished hot glass artist James Maskrey. Kate’s interest in combining other materials with her ceramic making brings a keen sense of materiality to her work. This, together with a passion for hand- held objects and for re-imagining objects from the past, brings an inimitable aesthetic to her practice. Working predominantly with porcelain, Kate augments its precious nature through her well- honed skills in throwing, modelling and carving. A graduate of Camberwell College of Arts, Kate also studied MA Ceramics at Cardiff School of Art and Design. Years prior, however, Kate graduated from Central Saint Martins College of Art and Design with a BA in Jewellery Design. This combination of training, research and ongoing development results in a practice rich in references and allusions. Kate has work in public and private collections including in Manchester Art Gallery; National Glass Centre UK; the International Ceramics Museum in Faenza, Italy; KOCEF (Korea Ceramic Foundation) Collection and the Ceramics Museum in Vallauris, France. Her awards include the Fenton Arts Trust Scholarship and the Future Lights International Ceramics Competition. Kate’s work has been exhibited widely in recent years. Group shows include Nexus: meetings at the edge UK touring exhibition, Shaping the Future international touring exhibition, British Ceramics Biennial FRESH exhibition, Gyeonggi International Ceramic Biennale Korea. Solo exhibitions include York Art Gallery and Manchester Art Gallery. Paint Kindly supplied by Farrow & Ball’s Bristol Showroom.